Shanghai Weixuan Industrial Co., Ltd. is an enterprise integrating R&D, production, sales and service. 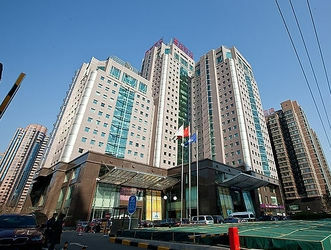 Since its establishment, the company has always adhered to the development concept of “innovation never ends”, adhering to the business objectives of “100-year enterprise”, and is well-known at home and abroad for its leading technology research and development, strict quality management, unique marketing model and perfect after-sales service. 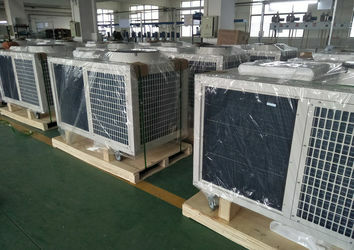 Professionally OEM for foreign customers to produce a variety of mobile industrial air-conditioners. The company's sales headquarters is located in Shanghai, and the company's factory is located in Wuxi City, Jiangsu Province. The company covers an area of ​​15,000 square meters, with a construction area of ​​23,000 square meters. It has strong technical development capabilities, more than 10 middle and senior professional titles, and more than 50 junior titles and various types of technicians. It has a variety of professional production lines and a plastic powder coating line. 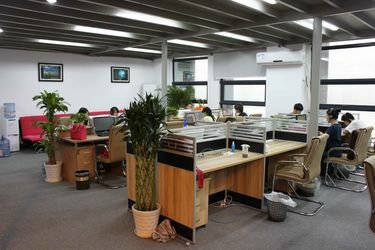 It has a full set of comprehensive performance testing rooms, all kinds of special equipment, testing equipment and instruments and meters, with an annual production capacity of 200,000 air conditioning equipment. It has passed ISO9000 and ISO14000 certification, and its products have obtained more than ten national patents. 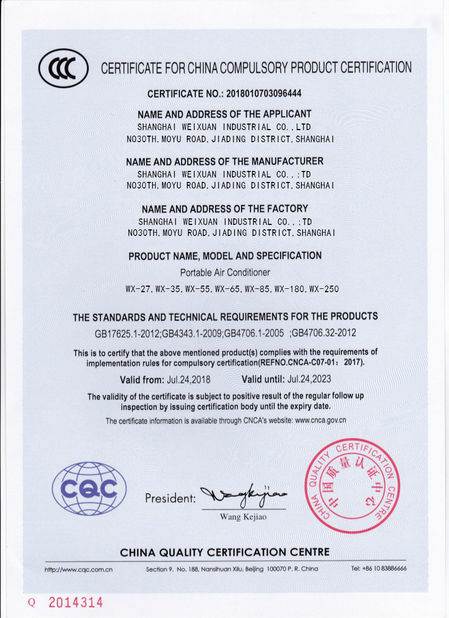 It has passed a series of certifications such as US ETL, Japan PSE, EU CE, etc. 90% of products are sold back to Korea, Japan, USA, Thailand, Vietnam, Russia, Australia, New Zealand. , Hong Kong, Taiwan and other countries and regions. Because of professional, excellent product performance and reliable quality assurance, it has won the favor of our customers. 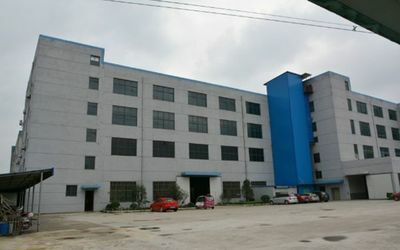 Over the years, the company has been committed to "create a more comfortable working environment", the "meticulous, excellence" as the company's quality philosophy, "people-oriented, seeking truth from facts" as the company's management philosophy, through strict scientific management and the active staff Efforts have been made to ensure the continuous improvement of the quality of products and the improvement of the quality assurance system. At the same time, the use of efficient management mode and flexible working mechanism makes the cost of the company's products from research and development, production and sales have obvious advantages over the same industry. Our enduring passion for the development and application of our technologies allows us to work out complete solutions that meet our customer needs with value-added products and services. As an industry leader in China, we are willing to play an important role at this moment which Transition from "Made in China" to "Created in China". In 2016, the company expanded its business in Europe and the United States, and the company’s business and personnel grew at the same time, and the number of personnel increased to 100. In 2017, the company developed the West Asia business and its annual sales reached 5000,000 USD. Adhere to the customer-centered, technology and innovation-based, continuously improve the user experience and improve the quality of products and services. Leaders of “creating value” continue to increase market share and customer satisfaction by continuously innovating and improving marketing value-added services, making us a “value creation” leader in the field of chillers. Extremely low to help you achieve maximum profit. 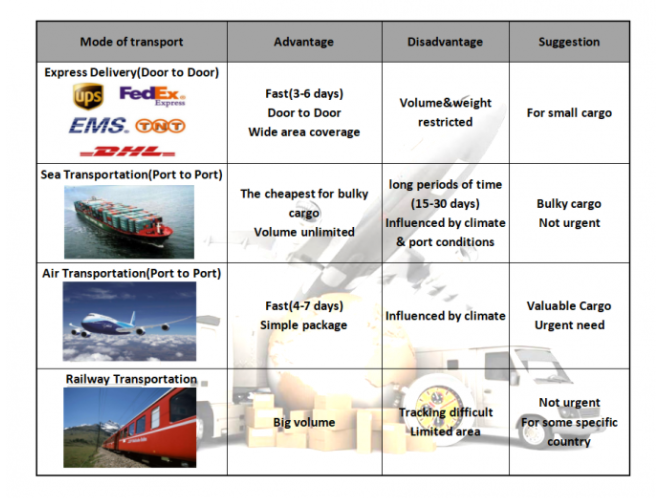 It usually takes about a month for the goods to reach the destination port. We are not your typical spot cooler manufacturer. Our highly dedicated sales staff has never shied away from going that extra mile to meet and exceed the customer’s expectations. We treat our customers with the same loyalty and devotion, no matter the size of their business or industry. Quality inspection from parts to production and delivery. Strict inspection to parts, production, and delivery. Full series of equipments in quality laboratory. Follow ISO 9001:2008 system strictly. Continuous improvement, seeking higher quality level. Team： Establish an efficient and able expertise team. Technology : Develop patent spot cooler within 3 years. Patent : Emphasize authentication for international invention design,deeply developing international market.